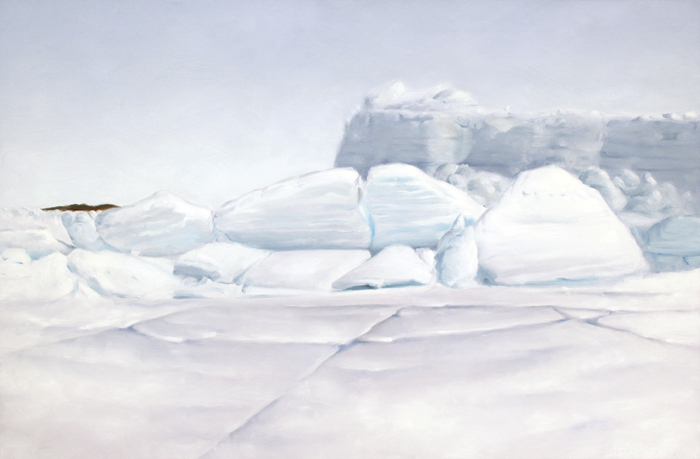 Artist Danny Osborne, native of Ireland, is an internationally known artist who joins us in our Artist in the Arctic series of exhibitions. Not unlike other recognized artists who have found inspiration in the north of Canada, this talented artist discovered a landscape similar to Ireland’s counties of Connemara and Cork, brooding and atmospheric. Having now settled in Iqaluit after years of absorbing this unique environment and its people, Danny brings a new eye to this challenging part of our country which few of us have had the opportunity to experience. Featured essay by Candice Hopkins, guest curator, National Gallery of Canada.